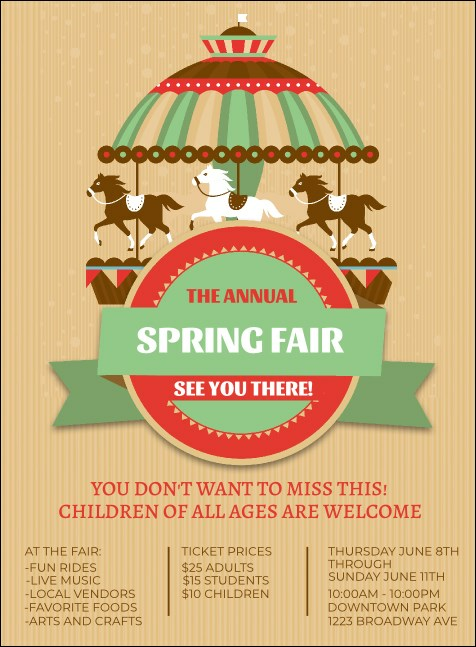 Whether you're throwing a party, picnic, fair or community event, get the word out when you send the Merry Go Round Invitation. This youthful invite template has soft green and pink colors and a whimsical carousel in the middle. Coordinate your event promotions with tickets, flyers and posters in a Matching Event Kit. RSVP with the right invitation from TicketPrinting.com.